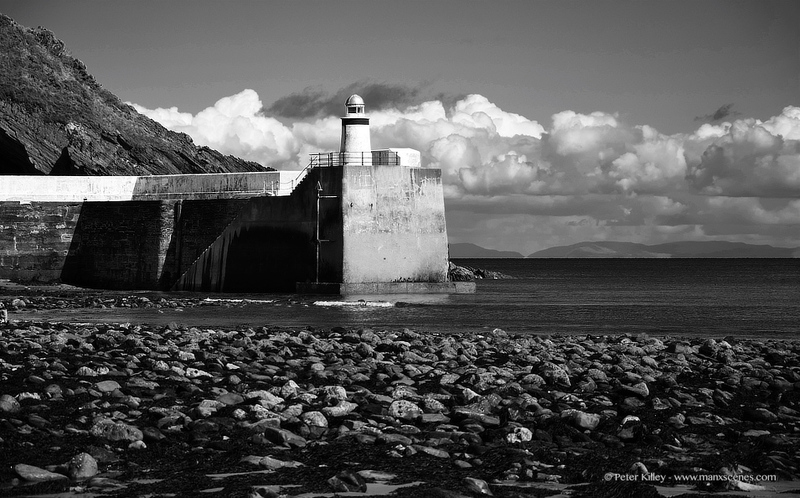 A nice walk around Laxey on Saturday. 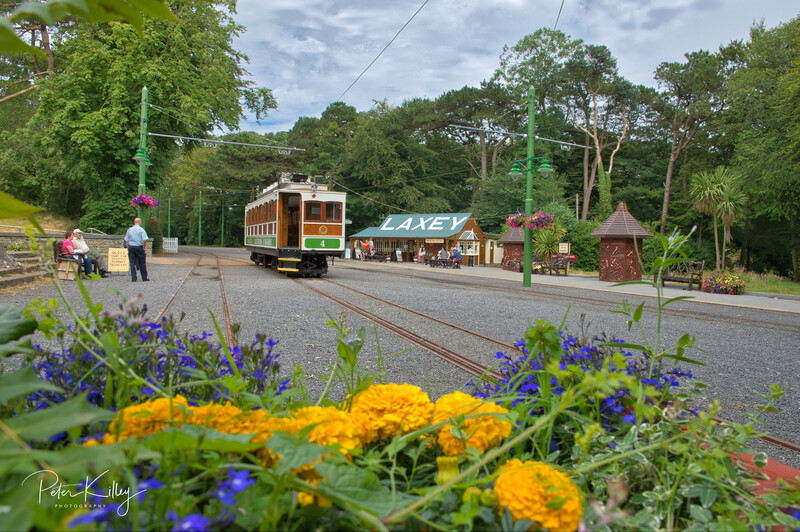 Image 1 – Laxey Railway Station looking very tidy and pretty, Laxey Station is an intermediate station that serves electric trams running from Douglas to Ramsey and return and is the start of the Snaefell Mountain railway climb and descent. 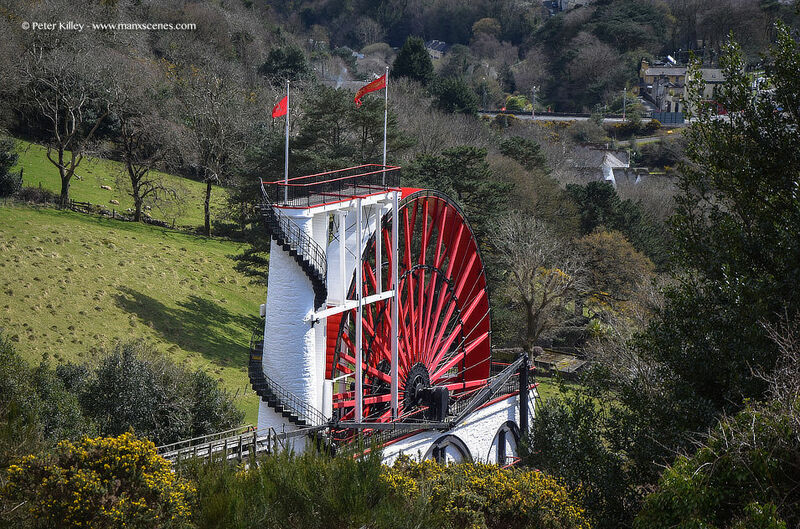 Image 2 – A slightly different perspective from high above the Laxey Wheel in the hills at Agneash. The wheel was built in 1854 in order to drain the mines of water and was officially started by Lieutenant Governor Hope and it was named in honour of his wife “Lady Isabella”. 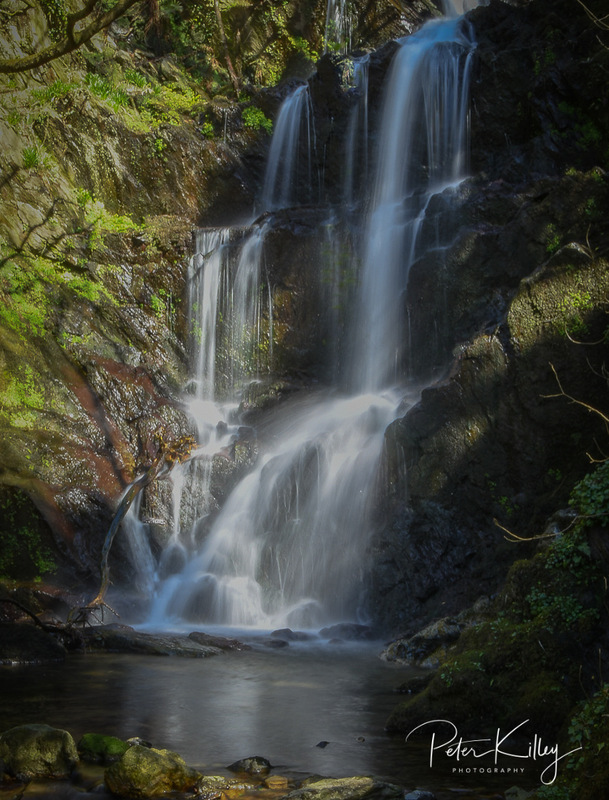 A relatively unknown beauty, Quarry Falls in Laxey. I feel as there is something quite mystical about this place. The foundation stone to this lovely church was laid in 1854 and the building was completed in 1855 but was not consecrated until May 1856. The church was built on land provided by Mr Geo. W. Dumbbell, chairman of the mining company, which forms part of the garden belonging to to the Mines Captain’s House (now the Mines Tavern). 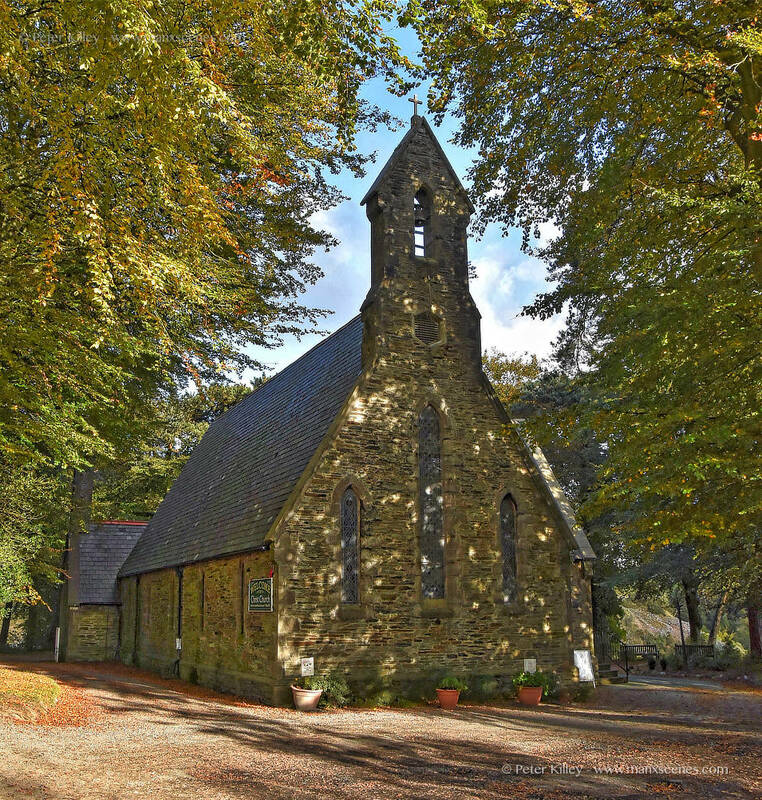 The building which became known as “The Miners Church”, cost £950 to which the Great Laxey Mining Company donated £200. 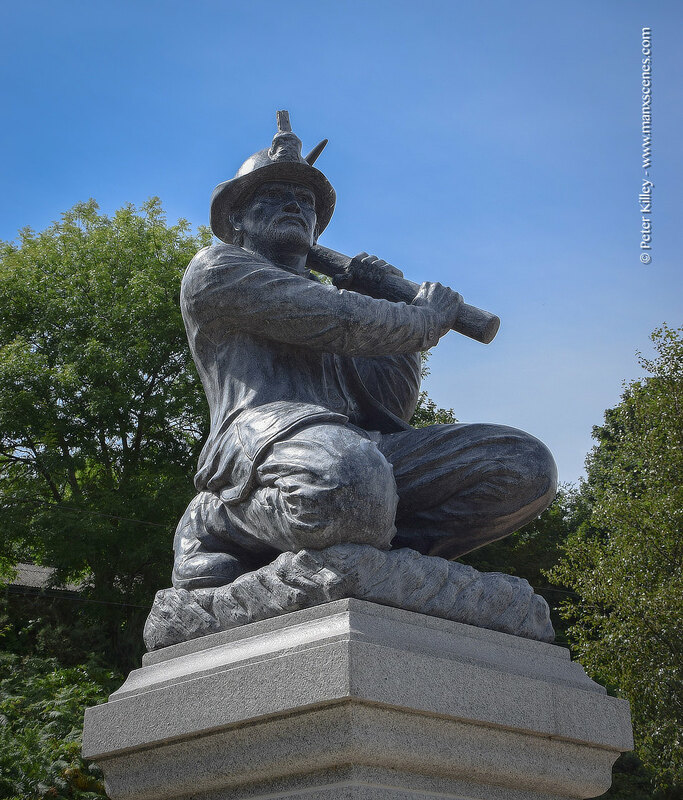 This lovely Sculpture at Ham and Egg Terrace in Laxey by Ongky Wijana was funded by Laxey resident, the late Mrs Phillis Tate and is a fitting tribute to the great Laxey Miners. Just look how close our neighbours are across the wet bit! I presume that is the Lake District? 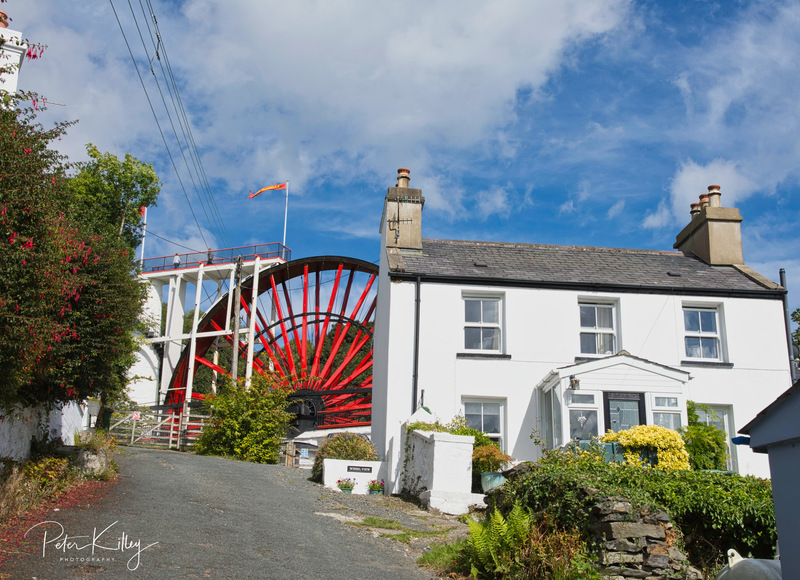 Lady Isabella – Laxey Wheel. 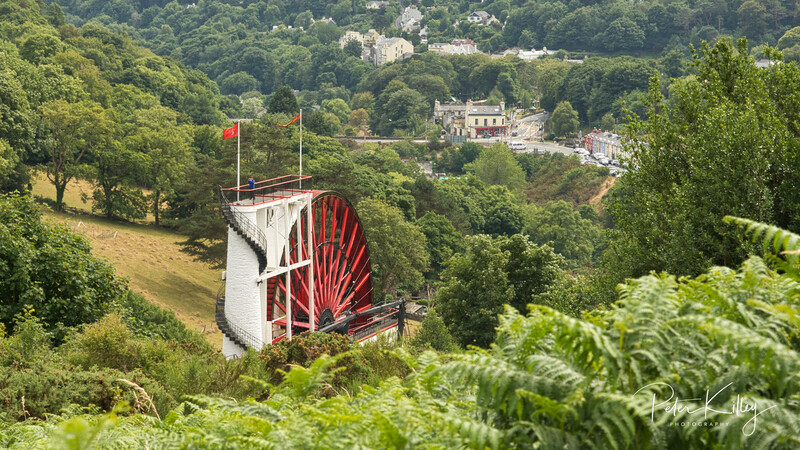 A slightly different perspective from high above the Laxey Wheel in the hills at Agneash. 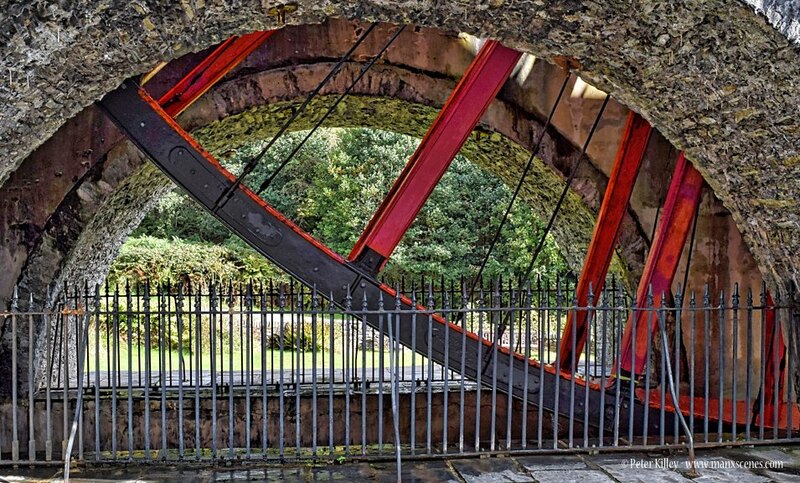 The wheel was built in 1854 in order to drain the mines of water and was officially started by Lieutenant Governor Hope and it was named in honour of his wife “Lady Isabella”. 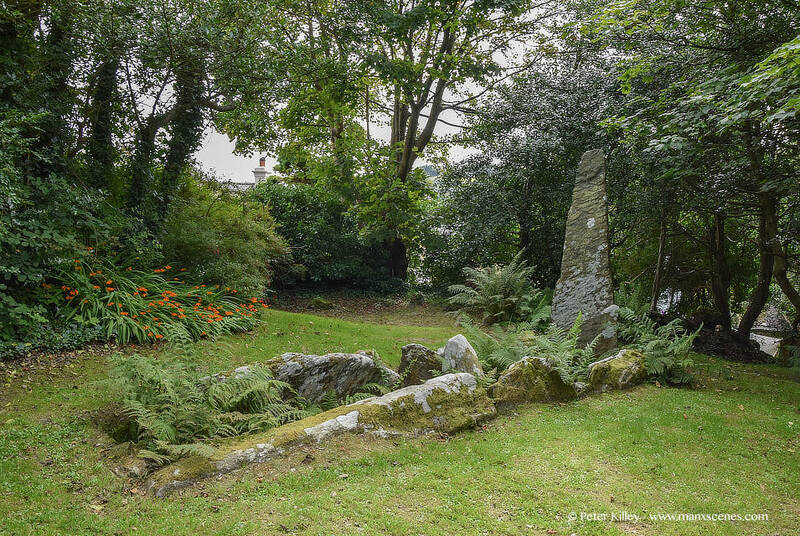 This is the largest known Megalithic tomb on the Isle of Man. King Orry is a almost legendary character revered by the Manx as their greatest king. 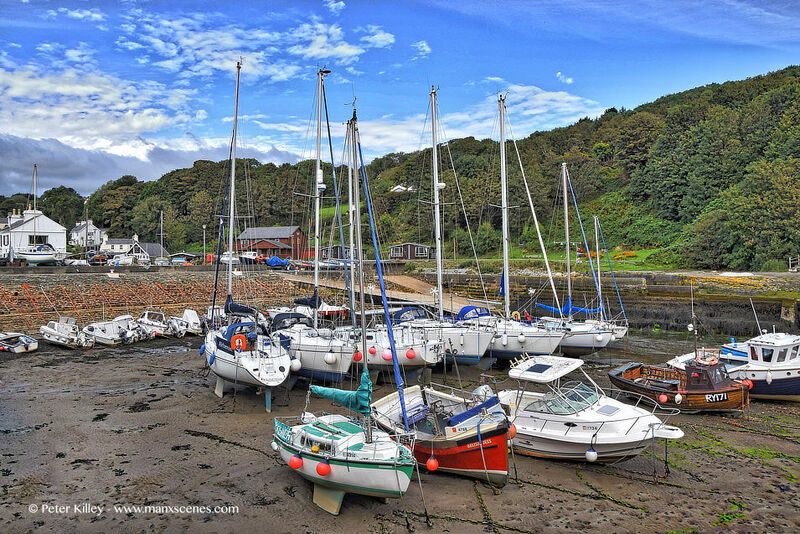 He was King Godred Crovan, who seized the throne in 1079 and created the Kingdom of Mann and the Isles stretching from the Irish Sea to the outer Hebrides. These are the remains of two prehistoric chambered tombs. 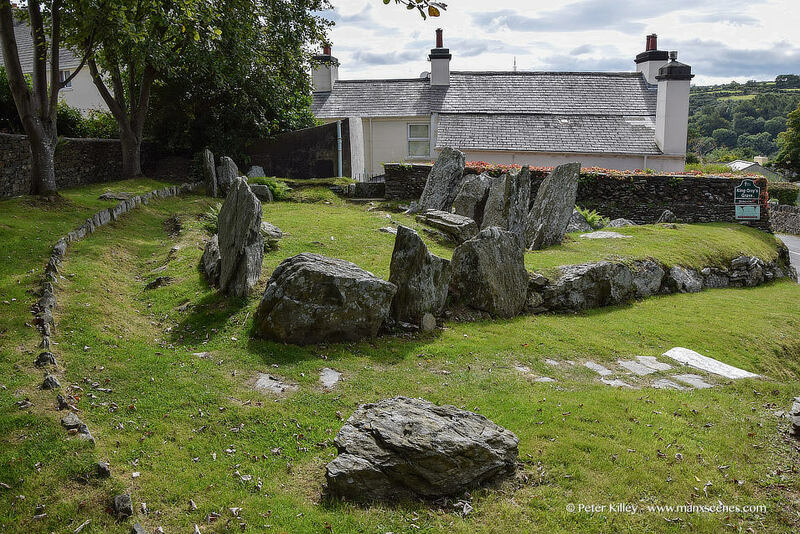 King Orry’s Grave was built by farmers about 5000 years ago, who were able to devote spare time and resources to the construction of these tombs in remembrance of their ancestors. The tombs consisted of a line of stone-built chambers buried under a cairn of earth and stones. Across the road and behind Gretch Lea Cottage is the other tomb, where the two parts of the graves were all connected, but clear evidence for this has been complicated by the construction of the houses and roads. 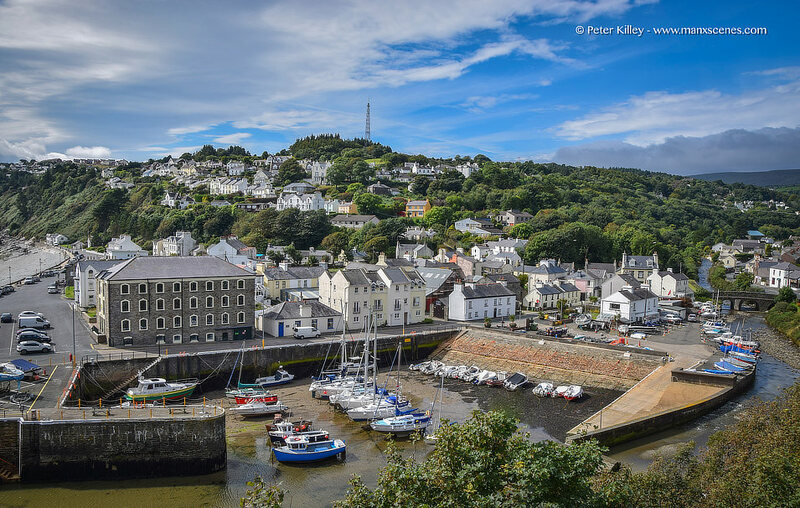 Standing on the Cairn of Breeze Hill in Laxey and overlooking Laxey Harbour and the upper and lower sections of old Laxey. 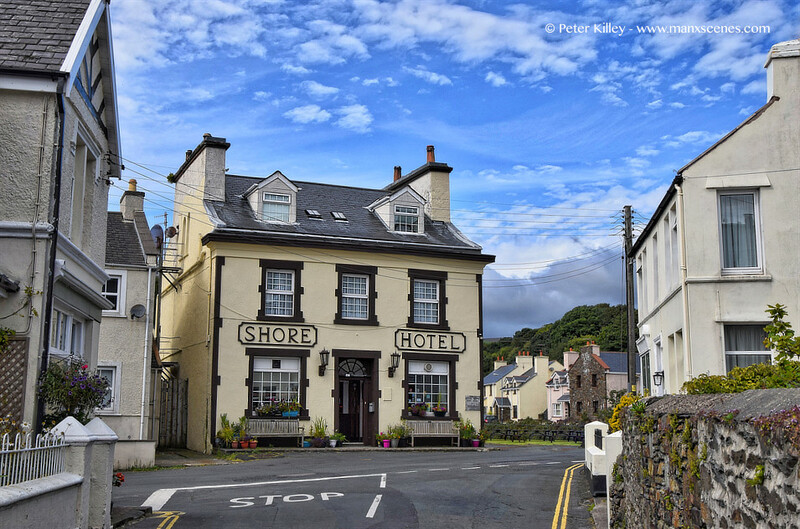 The Shore Hotel in Old Laxey. A slightly different perspective of the Lady having a well earned rest at the end of a long day.